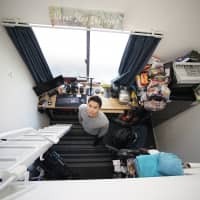 Japan’s women aren’t just eyeing a podium finish in traditional 5-on-5 basketball at the 2020 Tokyo Olympics, they’re also aiming for a medal in the newly introduced 3×3 competition. 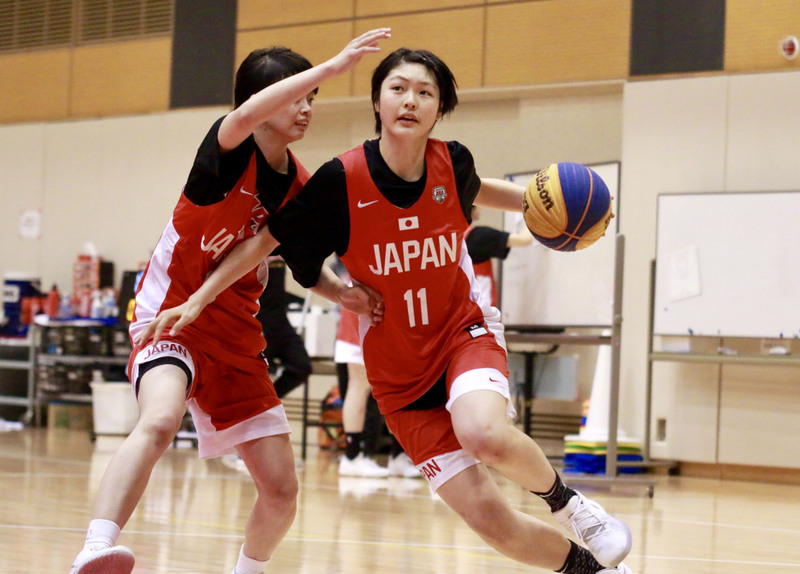 While focusing on the latter objective, Japan is currently preparing for the 3×3 World Cup in the Netherlands in June, and the Japan Basketball Association hosted a two-day training camp last weekend at Tokyo’s National Training Center. The preliminary squad included many young, future stars. Out of the 14 players called up, eight were high school players, including stellar hoopsters like University of Louisville-bound guard Norika Konno and forward Ririka Okuyama. 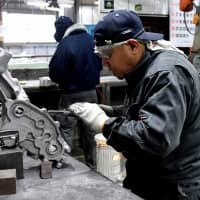 In a sense, Japan may have an even better shot at an Olympic medal in the 3×3 competition, because height is not as big of a factor as it is in the regular 5-on-5 game as there are only 12 seconds on the shot clock and players have to take shots quicker. Which means offenses don’t really have time to capitalize on mismatches created through screens. Torsten Loibl, who supervises the men’s and women’s national teams as the director coach, insisted on Saturday the fundamentals are “100 percent” the same between traditional basketball and 3×3 competitions, but that players must execute every play “very, very well” because of the shorter shot clock per possession. The German emphasized that sloppy plays are going to be “a killer” in the 3×3 competition, which is making its Olympic debut at the Tokyo Summer Games next year. Besides the shot clock, another major difference in the 3×3 game is that there are, obviously, fewer bodies on the court, which means the players have more space. Yuko Oga, a former star guard for the national team who now serves as a support coach for Japan, said she originally thought 3×3 would require players with good 1-on-1 skills who could drive by defenders. 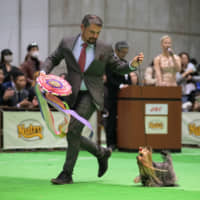 She’s since comes to realize player also have to be smart in order to excel at the game. “Things like spacing and being able to dish out passes quicker are as important,” said Oga, a fan favorite who played for the WNBA’s Phoenix Mercury and retired last year. Yet Oga added players could also take advantage of those skills when they go back to 5-on-5 competition. Okuyama, of Tokyo’s Yakumo Gakuen High School, hopes to eventually be a senior 5-on-5 national team player. But she feels playing in both games gives her another dimension. Okuyama and Seiwa Gakuen’s Konno helped Japan win a 3×3 silver medal at last summer’s Asian Games in Jakarta. 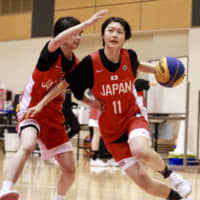 Okuyama, who will join the Women’s Japan Basketball League powerhouse Jx-Eneos Sunflowers after her graduation this spring, insisted the Asiad accomplishment was a fond memory and that she’s enjoyed the 3×3 competition more. Players from the WJBL are be expected to join the next training camp. But Loibl stressed that players from the country’s highest-level would not necessarily have the edge over the players who came to the camp this time.